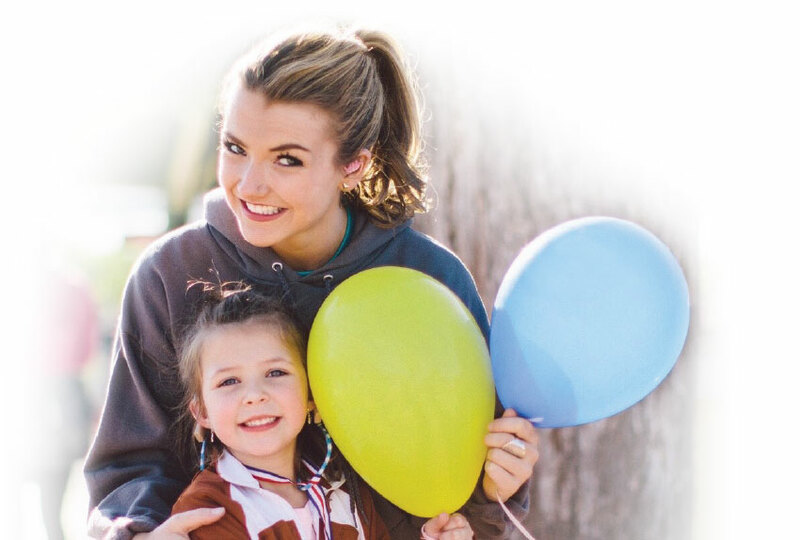 to live life more richly by providing funds to receive hearing and speech resources (hearing aids, FM systems, speech therapy), ASL lessons, ministry-related activities and education enrichment programs. Emma Faye created the campaign called #ShowYourAids to encourage the (D)deaf/HOH to be proud of who they are. The campaign went viral with 10,000s of people posting their hearing aids and implants all over the world – giving Aid the Silent a global presence. She was appointed by Governor Greg Abbott to serve on the Texas Governor’s Committee on People with Disabilities until 2020. 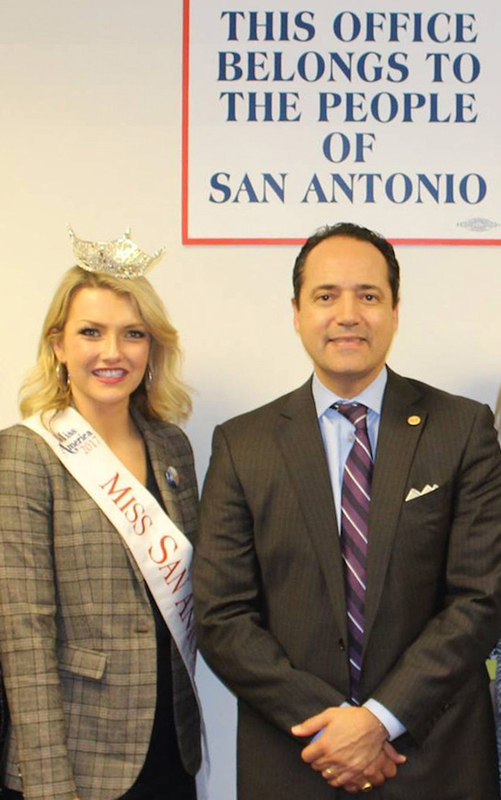 Emma Faye was Miss San Antonio 2015 and 2017. In 2015, she took individual awards for Overall Talent, Overall Interview and Miss Congeniality. She is profoundly deaf, sings and plays four instruments: piano, guitar, ukulele and the kick drum. In 2015, she placed Top 10 in the Miss Texas Scholarship Pageant 2015 where she won the Inspiration Award, Quality of Life Award, Academic Interview Award and Spirit of Texas (Congeniality). Emma Faye was again crowned Miss San Antonio 2017 being the first to hold this title twice since the first titleholder in 1923 where she won Overall Interview, Evening Gown, Community Service, Photogenic and Spirit of Texas. In July 2017, she placed 4th runner up in the Miss Texas Pageant 2017 walking away with both the Community Service and Quality of Life awards for her work with Aid the Silent. Emma Faye has been Fiesta Royalty for 2015 & 2017 Fiesta San Antonio and has appeared in dozens of parades and events on behalf of Fiesta. Fiesta is a citywide celebration benefiting area nonprofits. Emma Faye placed 4th runner up in the Miss Texas Pageant 2017 and took Community Service and Quality of Life Awards for her work with Aid the Silent. Emma Faye was named San Antonio’s Woman of the Year in the 2018 class of 40 Under 40 honorees celebrating the city’s rising stars. She & Aid the Silent were honored by the San Antonio Business Journal and The Najim Family Foundation for their Corporate Philanthropy & Nonprofit Awards for Nonprofit CEO in 2017 and Senior Manager in 2018 (Emma Faye) and Nonprofit of the Year (Aid the Silent) for small to midsize. In addition, her Good Vibrations Music & Arts Festival won Best of Fest for Charity Music Festival in Santa Barbara, CA presented with Jeff Bridges, Kenny Loggins, TBone Burnett and the Coen Brothers. 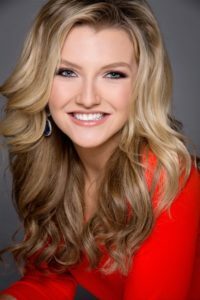 Emma Faye was also named Best of City of San Antonio 2018 by San Antonio Magazine for Best Pageant Queen for using pageants as a platform to advocate for the deaf and hard-of-hearing community and made the list of “9 Utterly Astounding Women Who’ve Shaped San Antonio” 2018 by KW San Antonio for her advocacy endeavors. Morgan’s Wonderland honored Emma Faye by placing her on their Wall of Fame in September 2018 as an individual who has gone above and beyond to do great things for people with special needs. From left to right: Emma Fave founder of Aid The Silent. Kenny Loggins with Emma, Emma Fave founder of Aid The Silent with Jeff Bridges. Coen Brothers and Jeff Bridges. Frances Fisher and Emma Faye. deaf/HOH patrons and won with Star Wars being the first movie played there with open captions. She advocated for deaf rights with the Texas Court Reporters Association for captioning legislation as well as hearing aid and implant insurance coverage legislation and personally met with eight Texas State Representatives and Senators on the importance of passing these two bills. her non-profit Aid the Silent and Good Vibrations Music Festival which won the Barbara Jordan Media Award from the The Governor’s Committee on People with Disabilities as Broadcast Winner for the show “Love Hears: Emma Faye Rudkin.” She has been featured 50+ times in local and national print, digital publications and radio interviews nationwide. She has shared her story at over 300+ speaking engagements and events. Emma Faye was the opening musician for Lysa TerKeurst, Max Lucado, Ben Rector, Penny & Sparrow, Matt Wertz, Kris Allen and Parachute. Emma Faye, along with musician Ryan Proudfoot, co-wrote and produced the soundtrack for the documentary “Love Hears.” The video project that came from the soundtrack “Love Hears: In the Silence” went viral and has reached more than 352k, 174k views off the Aid the Silent Facebook page and was shared 1700 times. Emma Faye and the Aid the Silent Team throw Good Vibrations Music & Arts Festival, a fully-encompassing (D)deaf/HOH accessible all-day music festival that brings together the (D)deaf/HOH and hearing worlds in a way unseen before through a series of efforts that enhances music for festival-goers through ten hours of live captioning, ASL Interpretation, t-coiling, vibrating backpacks, sound wave wall and an LED dance floor that syncs to the music. This festival is attended by several thousand each year. Aid the Silent hosted Good Vibrations Music & Arts Festival – the first fully-encompassing deaf/HOH accessible festival that brought together the deaf/HOH and hearing worlds through eight hours of live captioning, ASL Interpretation, t-coiling, vibrating backpacks and an LED dance floor that synced to the music. The sweet kids and teens that Aid the Silent has been able to help this past year attended the event. Emma Faye opened at Good Vibrations Music & Arts Festival for Penny & Sparrow, Matt Wertz and Ben Rector. Today, Emma Faye travels all around the country speaking at business conventions, ministries, churches and deaf conferences sharing her story and letting others know about the programs Aid the Silent offers to the (D)deaf/hard-of-hearing community. It is because of her ability to communicate via sign language and orally that she is able to unify the Deaf community with the hearing world. Emma Faye is the primary fundraiser and spokesperson for Aid the Silent as well as a staff member for San Antonio’s pilot program Deaf Young Life.